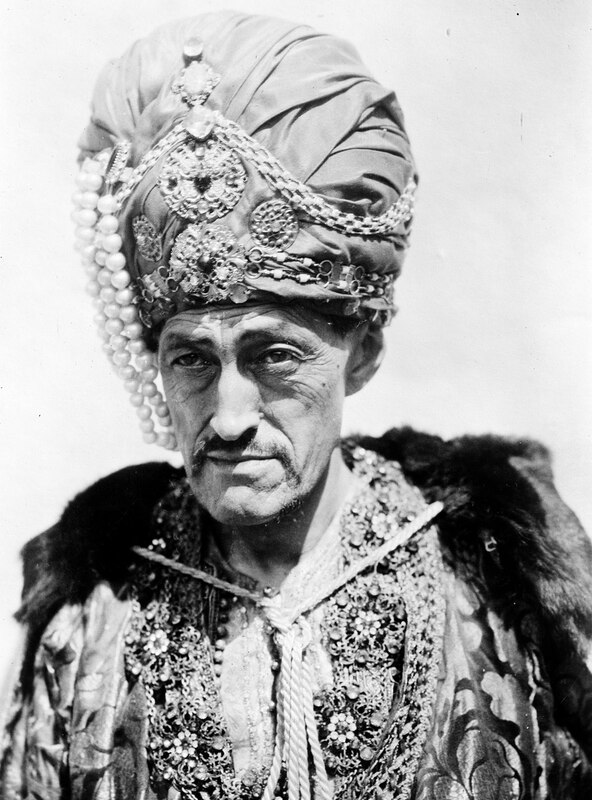 In 1902 the German Japanese poet, artist, and critic Sadakichi Hartmann, also known as the “king of bohemians,” led a much-anticipated scent concert at the New York Theatre. Promising to suspend space and time, the concert was designed to offer an olfactory voyage from New York to Japan such that the “nose [was] guaranteed arrival in Yokohama.” After many production delays, the concert was slotted as the penultimate act on a popular Sunday burlesque music and comedy series. The act was doomed to fail in a room filled with tobacco smoke and boisterous crowds. The artist bowed mid-performance amid catcalls and jeers and left the stage, never to revisit the project. Picking up where Hartmann gave up,The Los Angeles–based Institute for Art and Olfaction, presented a contemporary interpretation of the failed scent concert at the Hammer Museum. Based on research by Dr. Christina Bradstreet, A Trip to Japan in Sixteen Minutes, Revisited consists of six segments, each accompanied by an original scent composition made by contemporary perfumer, Sherri Sebastian. Through a reinvention of Hartmann’s propagation mechanism by Eric Vrymoed and Kamil Beski, the scents were released into the room in time to an original sound track by Bennett Barbakow with recordings and live Foley elements by Julia Owen. 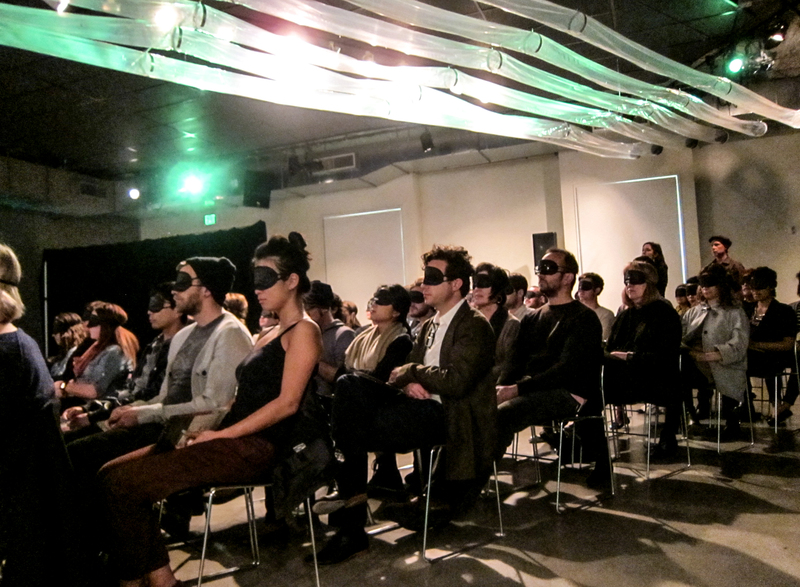 Participants were blindfolded so they could enjoy an immersive olfactory experience that, in an updated version of Hartman’s ill-fated voyage, taking them from modern-day Los Angeles to Tokyo. *Seating for these intimate performances is very limited; please RSVP. *Please be advised that this performance involves strong olfactory stimulation through aromamolecules both natural and synthetic. Audience members expose themselves to this experience at their own risk, the performance is NOT advised for anyone with sensitivities or allergies to fragrance or perfumes. A perfumer with her feet in both the independent world (with her fragrance company Sebastian Signs) and the west coast’s only fragrance house (Fragrance West), Sherri Sebastian is a veteran perfumer: adaptable, smart and conceptual. Sherri will oversee and create the six scent compositions, providing the interpretive olfactory narrative to our modern-day trip to Japan. Growing up with pianos, drums, and turntables, his addiction to musical toys has only gotten worse. An all-around Renaissance man in the creative media world, Bennett is a sound maniac - equal parts composer, sound engineer, audio designer, storyteller and inveterate tinkerer. He is the composer and owner at Huma-Huma, a music/sound house in LA and NYC. Bennett will oversee the sound design, composition, and general aural narrative of the concert. Julia Owen has always been intrigued by the way our perception depends on the sounds we hear. His fascination brought her to Los Angeles where she studied audio engineering and fell in love with putting sound to picture and spoken word. Her sound editing, recording and Foley work can be heard on feature films and television shows as well as in museum installations both in the United States and abroad. Julia Owen will oversee the live foley element for the concert. Kamil is the owner and principal at Beski Projekts, a professional art installation, rigging, mountmaking, exhibit design and production service serving major art institutions, patrons, galleries and private collectors. Kamil brings years of experience making the impossible happen in institutional settings, working with museums such as LACMA and Thee Huntington Library (among others) on projects that span the globe. 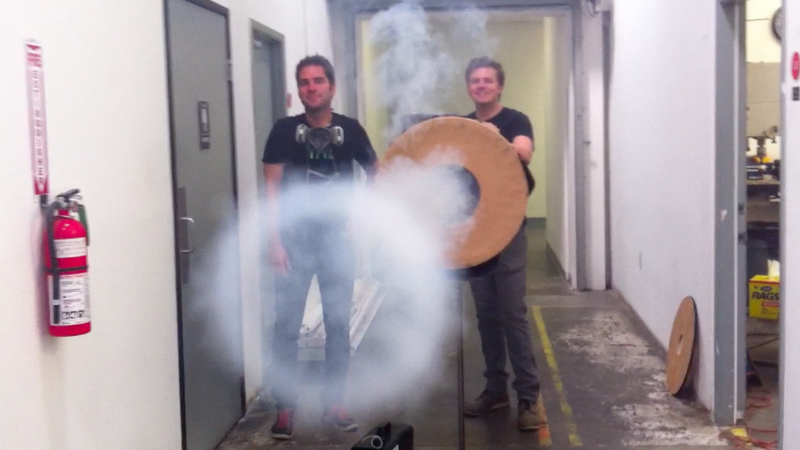 Kamil and Eric will collaborate on the conceptualization and interpretation of Hartmann’s original scent propagation machine. A graduate of UCLA’s Fine Art Department, Eric’s art practice has him working with large scale, mechanical kinetic sculptures. As one half of the Beski Projekts duo, Eric is also experienced with mountmaking, exhibit design and rigging in large institutional settings. A California native, Eric works and lives in MacArthur Park, near downtown Los Angeles. Eric and Kamil will collaborate on the conceptualization and interpretation of Hartmann’s original scent propagation machine. An award-winning graphic designer by day, and a prolific typography designer by night, Micah Hahn has spent over twenty years as a professional designer in both the television industry and the art world. He’s been the recipient of well over a dozen Broadcast Design Awards (including the coveted Gold Award for his 2013 rebrand of Fuse Network), and his typographic and graphic design work is collected in the French National Archives. Micah will oversee the visual language surrounding the concert. Dr. Christina Bradstreet is an art historian specializing in the role of scent in art. She is close to completion of an academic monograph called Scented Visions: Smell in Nineteenth-Century Art which includes a chapter on Sadakichi Hartmann’s perfume concerts. Her publications include ‘A Trip to Japan in Sixteen Minutes: Sadakichi Hartmann’s Perfume Concerts’ in P. Di Bello and G. Koureas, Art, History and the Senses (Ashgate: Farnham, 2010) and ‘Wicked with Roses: Floral Femininity and the Erotics of Scent’ in Nineteenth-Century Art World Wide (March 2010). She works at Sotheby’s Institute of Art, London. Born to Cuban and English parents, raised between San Francisco and Paris, Saskia received her MA in fine art from Central Saint Martins in London. A producer and curator for visual art and film, she co-directed LA’s seminal Silver Lake Film Festival, ran international outreach and development for Current TV, and has consulted on a number of arts and film projects, internationally. In 2012 she launched The Institute for Art and Olfaction, a non-profit devoted to education and experimentation in perfumery. The Institute for Art and Olfaction was founded in 2012 by Saskia Wilson- Brown with the mission of advancing public and artistic engagement with scent. 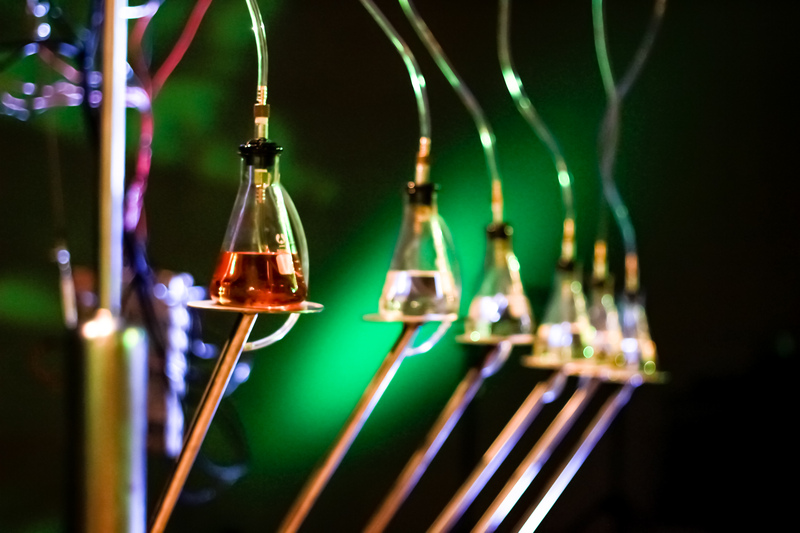 We do this by providing educational programs, building an archive of contemporary scent releases, offering a residency-based laboratory for cross-discipline experimentation, and by inciting innovation and collaboration between perfumers, scientists and other creative practitioners. A Trip to Japan in 16 Minutes, Revisited received generous support from Fragrance West.